This week on the InSession Film Podcast, Matt Oakes from Silver Screen Riot joins us as we celebrate the 2nd annual InSession Film Awards as well as give away our Top 10 Movies of 2014. Due to the length of the show, we had to go Hollywood blockbuster on you and split up the show into two different part. The first part will be our InSession Film Awards section where we discuss our biggest surprise movie of 2014, the worst movies of the year, our favorite acting performances and so much more. And on Part 2 (coming soon), we discuss our Top 10 Movies of 2014, which was a lot of fun. Want to know how your awards compare to ours? Go to our Preview page and download the Awards Category sheet, fill it out with your nominees and winners and as you listen to the how, see how your picks stack up against ours! 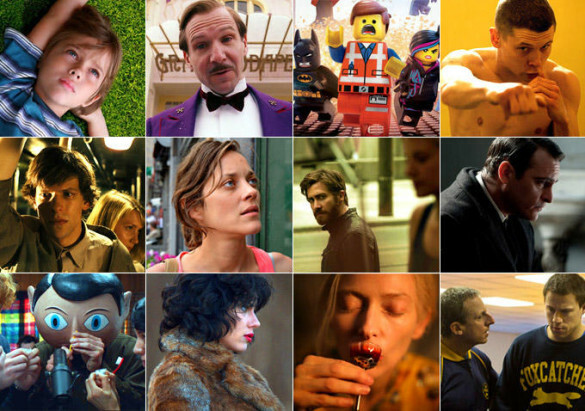 Special thanks to all of our friends who called in and gave us their top movies of 2014! 2014 was an amazing year for film and felt really consistent all the way throughout. It was maybe the best year for animated film we’ve seen in the past 5 years, had arguably the best comic-book movies we’ve ever seen and had a fall/winter that gave us some really brilliant art films. Overall, at least for us here at InSession Film, we had a phenomenal year at the movie theater. Do you agree or disagree with our list? Let us know in the comment section below.